Unfortunately it’s now too late to sign up to this event. However Ultra Challenge hold a numberof similar events throughout the year that you can still sign up to. Simply click here, sign up and select to fundraise for Rainbow Trust! Whichever options you choose, you will enjoy an epic adventure whilst helping us to raise the funds we need to provide tailored support to families. 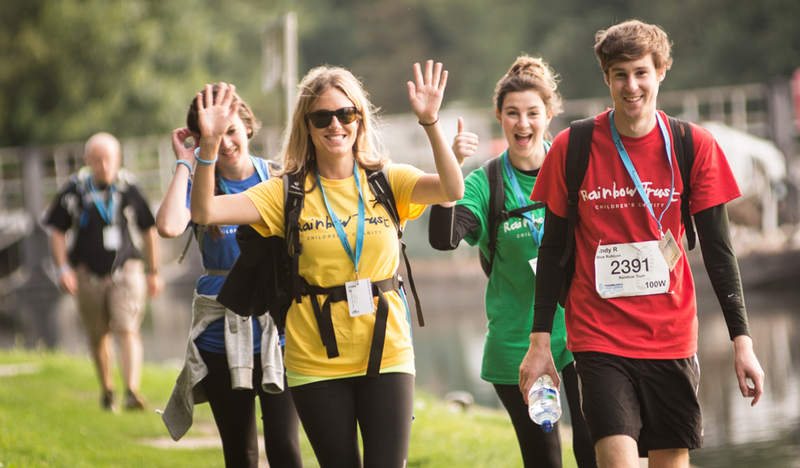 A fundraising pack full of inspirational advice and materials. Sign up on the official website - click on the middle option at the bottom of the page (fundraise for a listed charity), then choose Rainbow Trust Children’s Charity from the list when registering. We will be notified and get in touch to welcome you to our team. *Please note this offer is only valid on the full and half distance challenges.